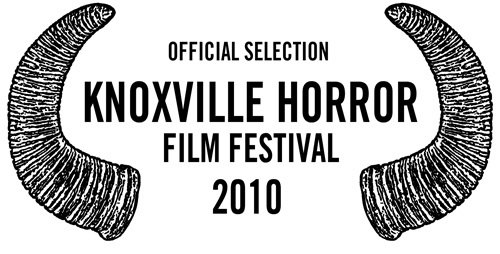 The Horror Of Our Love: A Short Film is now an Official Selection of the Action On Film International Film Festival for 2010! 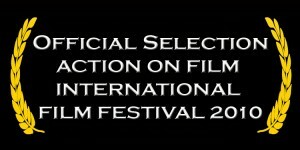 The Horror Of Our Love: A Short Film is now an Official Selection of the Action On Film International Film Festival for 2010 going on in lovely Pasadena, Ca. July 23-30th! 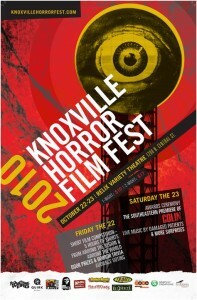 We are very excited to do this cool festival right in our own backyard, see so many friends, & all the great films!! Going to be a blast!! Oh yes folks! You heard it right! 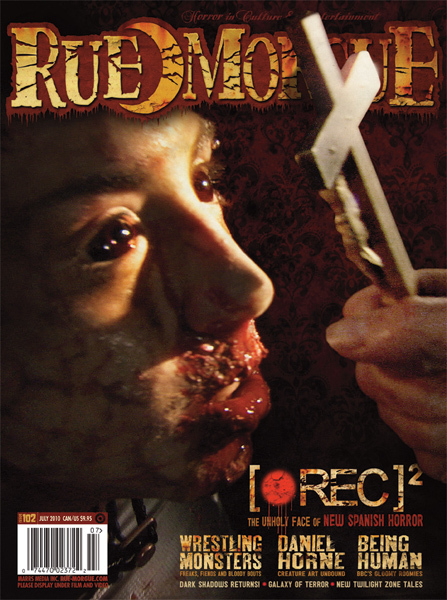 Horror Of Our Love: A Short Film, has been reviewed in the latest issue (#102) of Rue Morgue Magazine. 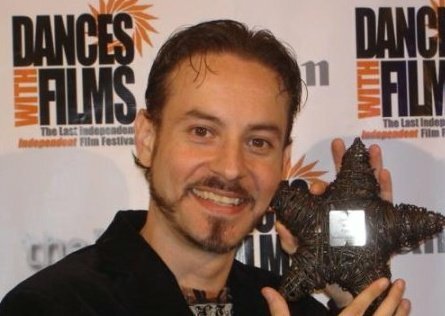 NIGHTMARE TO REMEMBER FILM FESTIVAL !! 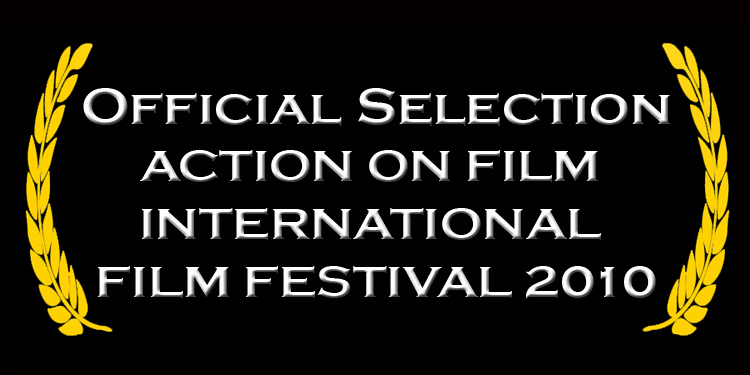 We are very excited to attend the NIGHTMARE TO REMEMBER FILM FESTIVAL in San Francisco Saturday June 26th….7-10pm- At the Opera Cinema PlazaÂ 601 VAN NESS AVE.Â SAN FRANCISCO, CA 94102…..Come check out all the great guests, films, and our film too. Our cast and crew will be in attendance too so come out and say hi! 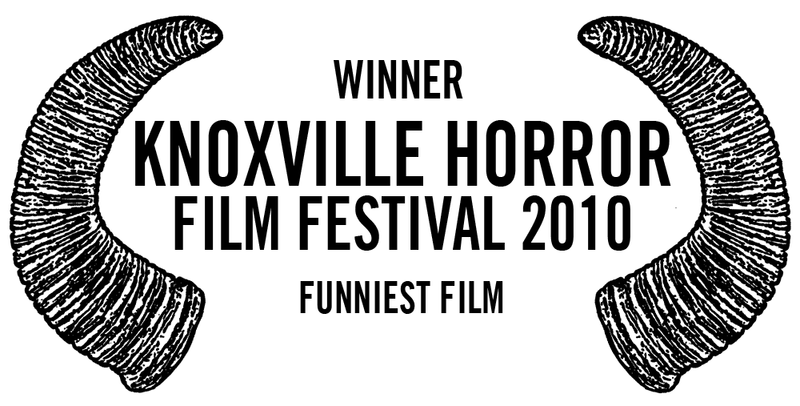 UPDATE Â 6/28/10 : Â We are very proud to announce we took 3rd place at this years festival, it was a tough competition and a really cool win!! Thanks so much to everyone at the festival and San Francisco!! 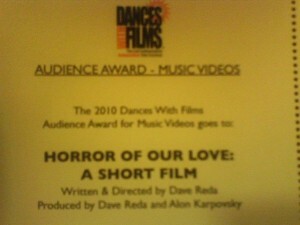 Horror Of Our Love: A Short Film WINS Dances With Films Audience Choice Award!!! Horror of Our Love : A Short Film based on the song Horror of Our Love by the awesome band Ludo. 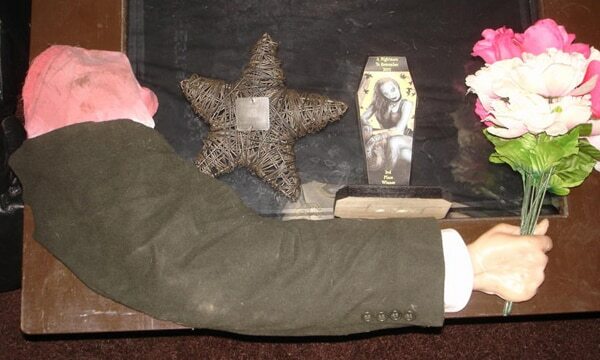 Shot in San Jose & spawned from the brain of writer/director Dave Reda and Elftwin Films: comes a horror/romantic/comedy short film that twists your normal love story’s back until it breaks! 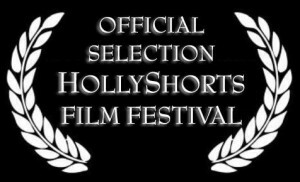 Screening at the Laemmle’s Sunset 5 theaters… Come see our film and all the other incredible films in this years festival. 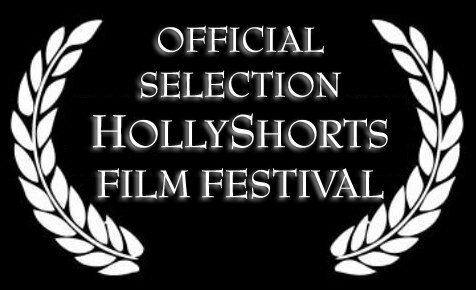 It is screening at the lovely Egyptian Theater Friday, May 21, 2010 7:45pm – 8:00pm. Hope you all have fun with the film!